In the Eurocave La Petite wine cooler you can keep 10 bottles of wine and two unfinished bottles to preserve the wine’s quality. EuroCave is a French manufacturer of high-quality wine storage cabinets that replicate the conditions existing in natural cellars. The company looks back to many decades of history in designing and making wine cellars for home use. The EuroCave Le Petite wine cooler reflects the company’s attention to quality of materials and workmanship ensuring reliability and the best storage conditions for your wines. The La Petite accommodates 10 bottles of wine (traditional 750 ml Bordeaux style bottles) on 10 unique Main du Sommelier bottle supports. You can also keep 2 open, unfinished bottles in the cabinet for up to 10 days. The 2 detachable oxygen extraction heads will remove all oxygen from the air in the uncorked bottles protecting wine against oxidation and preserving its quality. This vacuum system is constantly monitored ensuring that no oxygen will get into the wine. The Eurocave Sowine wine preservation system uses the same oxygen removal technology. The Main du Sommelier support system was developed according to the shape of the “main du sommelier” (hand of the sommelier as he presents a bottle of wine to his guests). This anti-vibration support provides protection and adjusts to all shapes of bottles. 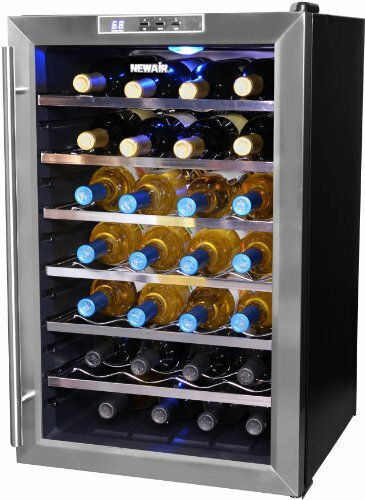 Unlike other wine refrigerators by Eurocave that are compressor-operated, the La Petite uses dual Peltier (thermoelectric) technology to maintain cool temperature inside the cabinet. Thermoelectric cooling works well in small-sized refrigerators and has the benefit of silent operation as compared to wine fridges using compressor technology. The main drawback of Peltier cooling is that it’s effient only at fairly cool ambient temperature, in case of the EuroCave Le Petite wine cooler it’s 18 – 35°C (64.4 – 95°F). Learn more about Thermoelectric (Peltier) Wine Coolers. The temperature can be set from 64.4°F to 77°F (18°C – 25°C). There’s a boost zone at the bottom of the cabinet allowing you to chill a bottle of white wine or champagne to the ideal serving temperature. To activate the boost function press the boost button on the control panel in the upper right corner of the cabinet. According to the French Environment and Energy Management Agency the performance of the bottom of the cabinet will vary between 8 – 12°C according to an ambient temperature of 18 – 25°C. The interior lighting is located under the oxygen extraction head and it illuminates the wine bottles nicely. The Eurocave LeaPetite is available in black cabinet with righ-hinged, UV filtering glass door. 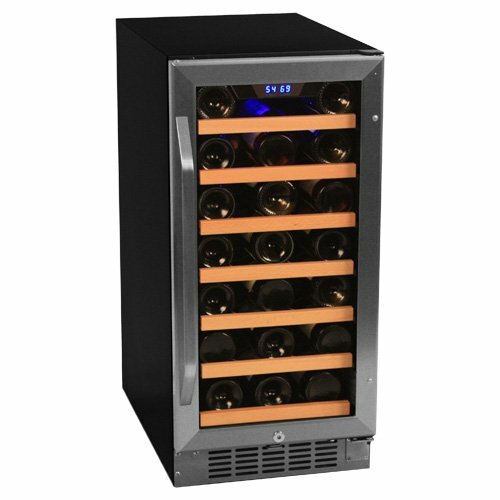 For Whom the EuroCave La Petite Wine Cooler is Recommended? 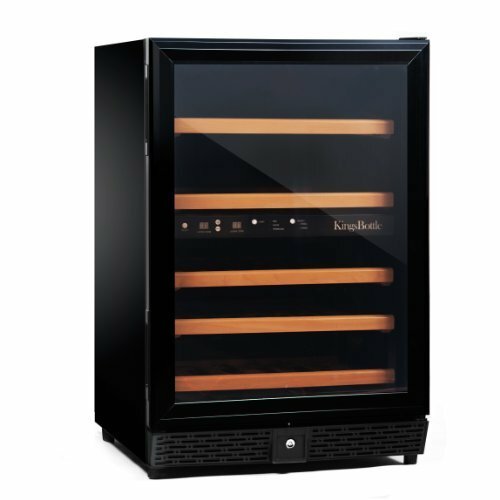 The La Petite is a compact wine fridge with 12 bottles capacity that is a great serving cabinet to keep a dozen of bottles of wine always on hand. You can keep your wine in it for long term storage but you can also bring two bottles of wine to serving temperature. This is an ideal wine storage cabinet for those who have little space in their home for a larger cellar but still want the best storage conditions for their wines. The slim design of the Eurocave La Petite wine allows placement in narrow spaces. 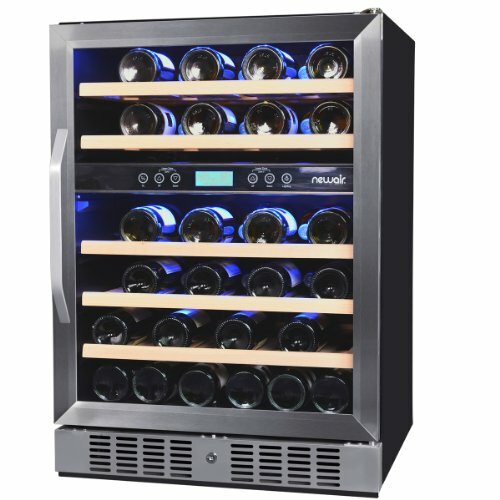 Those who have a spacious 100+ bottles cabinet or a real home cellar will also find the La Petite useful because they can keep a selection of their wine collection always on hand in it, cooled to a desired drinking temperature. No need to search for wines in a fully loaded large cellar when the guests arrive for dinner, you only pick one from the La Petite. The boost zone is a nice feature: it brings a bottle of white or champagne to serving temperature very quickly. Eurocave Compact Wine Refrigerators – space-saving wine cabinets in three capacity ranges: small, medium and large. Eurocave wine cellars – overview of Eurocave wine stoarge cabinets including main technical features and benefits. Two Temperature Zone Wine Refrigerators – some good quality dual zone wine storage cabinets. Slim Wine Cellars – wine coolers with narrow width designed for placement in condos with limited space. 12-bottle wine cellars – recommended wine coolers that store 12 bottles of wine. 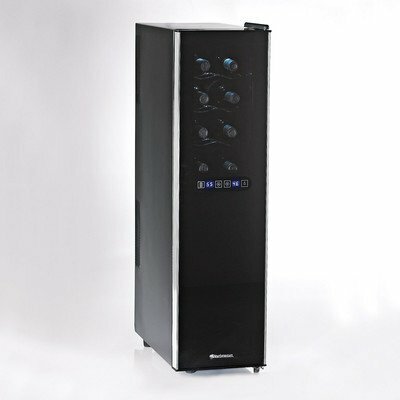 Small-sized wine refrigerators – compact wine bottle coolers starting from 4 bottle capacity.